You know how the source code to Infocom's games was posted to Github? The source code for every Infocom game is now on Github! 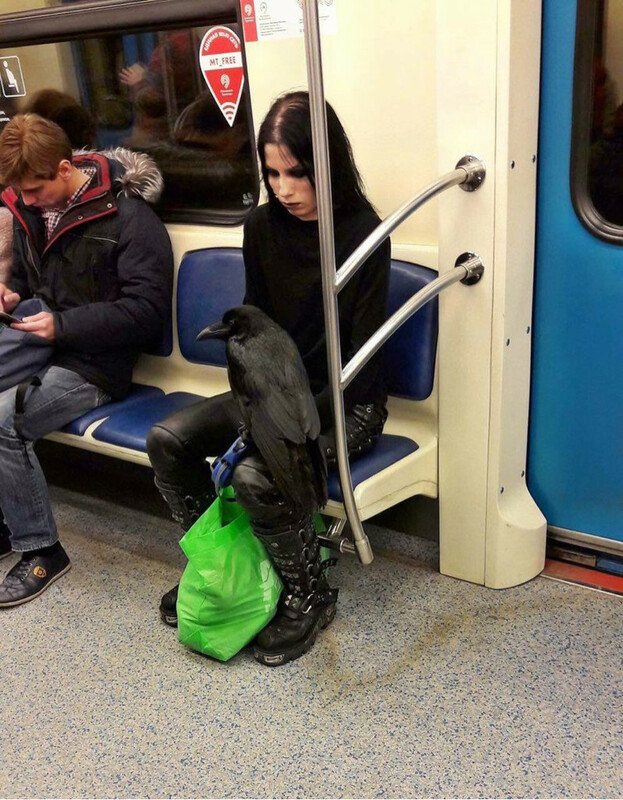 You think you're cool, but you're not goth girl with a raven on the subway cool. Great overview of some of the Emacs killer apps! There's nothing that makes me appreciate Knuth quite so much as the typesetting in old CS papers and math textbooks. Some good news from Patrick Volkerding, BDFL of Slackware Linux: the community response was important enough that he is no longer in a difficult financial situation (which does not mean he is doing well). I know I&apos;ll try to support him and donate on a regular basis, because he is just an amazing programmer and just a very, very nice human being. I can't reconcile the fact that I'm forced to underwrite this. John Coltrane and Rashied Ali... that's all you need. Yeah, I remember when I thought this park was most beautiful. It wasn&apos;t because of neatly trimmed hedges, or a new fountain, it was because people were educating and supporting one another, daring to hope for a better world. In this day in 1987 SDF-1 received its first caller at 300 baud. Happy 30 years of community service. If we have gendered products for men and women, why not have them for more specific genders and gender-like categories as well? Like: "Soda for tomboys!" "Incense for femme-of-centre androgynes!" "Body butter for bears!" But eventually, the Overstock won't be enough. We need to be able to make CD-Rs in our basements. We need community owned CPU factories. The Raspberry Pi enables me to make All Kinds! Of Neat Things! but it depends on an international shipping infrastructure and the goodwill of several corporations.